This works whether you are using conventional treatments, Integrative or All Natural Therapies. Sometimes when you go against the grain you lose support... If you choose to take an alternate route to heal, you may get opposition from your family and friends because they believe that “traditional” medicine is the only way to go when facing cancer. That's exactly what happened to most people diagnosed with cancer, no matter the stage. Or even other hard to treat Auto-Immune Illnesses. This coaching program will help you. ​The SQUARE ONE Cancer Coaching Program Changes Everything! 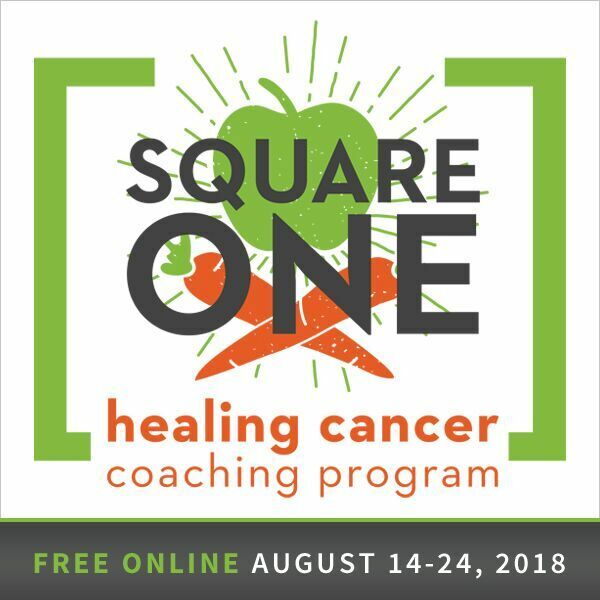 The SQUARE ONE Healing Cancer Coaching program ls for everyone. Whether you are using chemo/radiation or some other treatments. Square One gives you everything to help you get your mind and body into healing mode. Turn your body into a well tuned, healing machine. Square One gives you everything you need to know, to get started healing your body from the inside out. This comprehensive online coaching program is the equivalent of 10 hours of one-on-one coaching with one of the best natural cancer coaches. Square One helps cancer patients and their loved ones remove the fear and powerlessness they face, by helping them understand that they have OPTIONS and by giving them inspiration, motivation, and resources on how to heal cancer with nutrition and natural, non-toxic therapies. Chris's SQUARE ONE program takes you step-by-step through the healing process in a simple straightforward way that is empowering, hopeful and encouraging, without being overwhelming or confusing. Learn how to eliminate toxic stress, and how to keep track of your progress, and more. It’s your road map to prevention and healing. No matter if it’s for you, a loved one or a friend, you’ll have ALL the information you need to take action and take control of your life and health. Chris has dedicated his life to help people prevent and heal cancer and chronic Western diseases. SQUARE ONE is the culmination of his own experience plus over 13 years learning from others who’ve healed as well, condensed into a step-by-step guide, that shows you where to start and what to do. He didn’t create SQUARE ONE for himself. It was created for YOU! Taking everything he's learned from his own healing journey plus 13 years of research learning from doctors, experts, and other survivors who’ve healed naturally, and has distilled it down into a simple, straightforward course for regular folks to follow. Check out SQUARE ONE. Share the info with friends and family. Life was not meant to be this difficult...You are not alone. Whatever decision you make, the info says cancer coaching, but the principles applied, can help you with any type of illness. Because it's not cancer, doesn't mean you can't benefit from the coaching program. The program helps you heal from any illness, especially auto-immune illnesses. So, even if your illness is not cancer, applying the SQUARE ONE Principles will help you too. Coaching help is available. If you are afraid or confused and want to try another OPTION...Check out Square One. Our family member healed from Cervical/Uterine Cancer using most of the principles Chris shared in Square One. You can individualize the program to fit your budget and living circumstances. There is something in it for everyone...even if you believe you are healthy. ​We have see many programs, researched many options...but Square One was like a light bulb going off...It showed the bright light at the end of the tunnel. Square One is so doable, and makes your illness manageable and curable. Don't listen to the skeptics. There is a way for YOU to take control of your own life...Do it the Square One way. ​Share this page with friends and family or your social media friends and following. Check out SQUARE ONE Today.